This is precisely why Jon treasures his TimeZone Limited Edition Minerva so much. When he wears it he can't help but reflect on how closely the brand's history parallels the timeline of a period in his professional life. 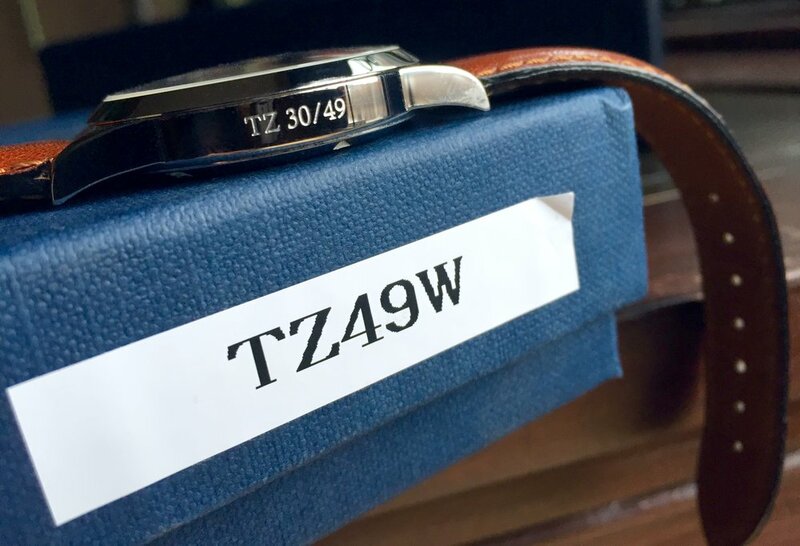 This connection is the reason why among all his watches, including ones with dials signed "Lange" and "Patek," it's this Minerva he says "would be the last to go if forced to give up" his collection. If you're not too familiar with Minerva, then you're in the same boat Jon was in 16 years ago. 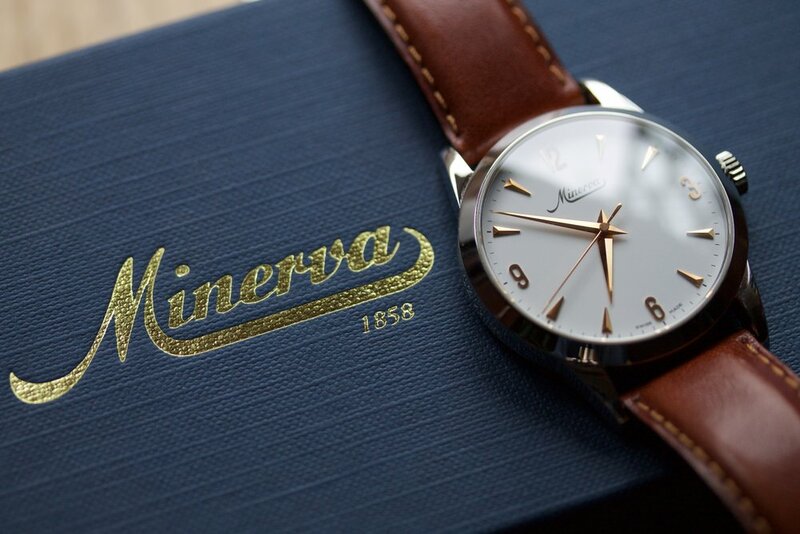 He had heard of the brand "Minerva," but really learned about the company - and gained an appreciation for it - when he began frequenting TimeZone. When Jon joined the forum he could sense a cult following for the brand, which can be traced back to 1996 - the very beginning of TimeZone. Jon told me back then serial entrepreneur Richard Paige "realized that TimeZone needed to expand to have the ability to be self-sustaining and presumably be attractive to advertisers. [Richard] had come to the conclusion that creating a partnership with a watch company - that would be mutually beneficial - was the way to go." 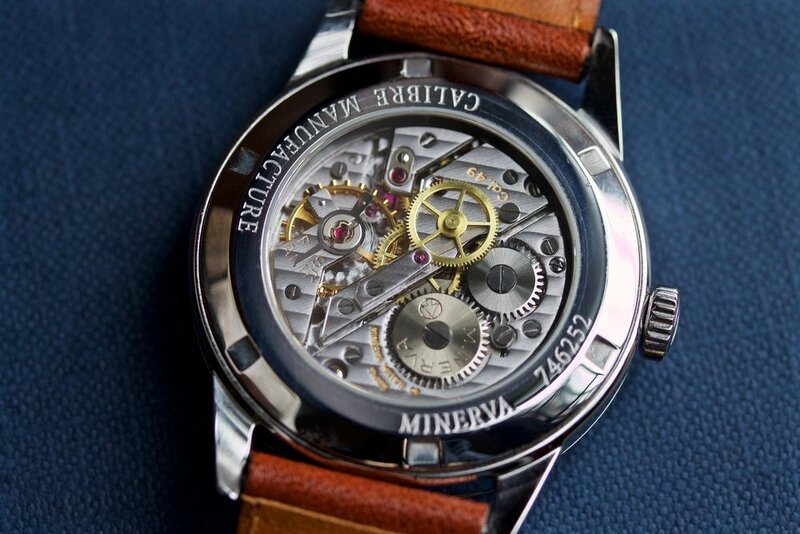 Mr. Paige generated momentum for TimeZone by joining forces with Minerva to design a 50-piece limited edition timepiece - its success set the table for another exclusive collaboration offered in 2000. The partnership with Minerva was more than a business deal. I understand that Richard had a personal interest in the success of the family-owned and operated business. He worked closely with the founder's grandson, Jean-Jacques Frey, to bring attention to the craftsmanship and heritage of Minerva. Jon's fascination with watches is owed to several childhood experiences: When he was a teenager, rummaging through his grandparent's barn, he found a discarded, broken pocket watch. His curiosity got the better of him and he challenged himself to take it apart and rebuild it. While performing the disassembly, Jon grouped the tiny components together in a way that helped him reconstruct the movement. To his delight, he managed to get the pocket watch to work - "for all of about 30 seconds..."
The other noteworthy watch experience Jon had was as a student at an English boarding school. He came from modest means and was only able to enroll because he aced the required exams - earning him a free ride. Most of his schoolmates came from families that were "loaded," so their tuition was bankrolled. The other thing he noticed about his classmates was "they all had nice watches" - like solid 18 ct gold Rolex "President" nice. Surrounded by all these fine watches, Jon wanted one for himself. He saved enough money from working odd jobs to buy a Tissot PR516 after seeing an ad for one - complimented by a perforated leather driving glove. Jon went on to develop a lifelong interest in watches. He especially grew fond of Minerva after reading countless posts about the company's origin and way of doing business, which according to Jean-Jacques Frey was "the expression of a rare and true tradition, of a certain spirit, old fashioned in the good sense and quietly vanishing from this world." The brand came to resonate more and more with Jon; he told me: "I come from fairly humble surroundings; this was a company that felt like it was a humble company. It wasn't big stature like a Rolex, like an Omega." In early 2000 Jon found out that a second collaboration was underway between TimeZone and Minerva. On this occasion 100 special watches were to be made available through TimeZone: 49 with a white dial, 51 with a black dial. All pieces would feature pink gold accents and the actual signature of the man who created its Cal. 49 movement - André Frey - would be on the letter accompanying each watch. Because of his admiration for Minerva, Jon most definitely wanted one - with a white dial. He reached out to Richard and asked: "could I have number 30? It's my birth date." Of the few that remained, No. 30 was actually still available. As Minerva was a really small company - with cash flow always a being challenge - Jon had to purchase the watch pre-production to get the ball rolling. You see, in 2000 Jon was busy running a small agency he founded 3 years prior when he was approached by a larger advertising firm to conduct an audit on how the organization was performing. After presenting his findings and recommendations, Jon was informed that the head of the company wanted to speak with him... Jon met him at a dark basement bar of a hotel and listened to the man say: "I like what you've told me; I want you to come and work for us," to which Jon replied: "well I'm happy working for myself..."
At this point Jon's client reached for a napkin, took out a pen and scribbled down some figures on it. He then got up - and before leaving - said: "give me a call in a couple of days and let me know what you think..." Jon hesitated to unfold the napkin, but when he did he said to himself "holy crap..." - the number on it was totally ridiculous - as in "ridiculously good!" It wasn't easy to dissolve his small business, but Jon did end up accepting the generous offer. He "went from being a small independent contractor to being a corporate guy." Upon reflection, Jon can't help but feel inextricably linked to Minerva's history, especially through ownership of this watch, because its story traces the peaks and valleys of his own career arc: This model turned out to be "the very last created and produced at Minerva [while] still owned by the Frey family for three generations since 1935." Minerva, much like Jon, eventually became part of a large organization - the Richemont Group. I actually think Jon sums up his story the best. He says: "In many ways the project for Richard Paige, for TimeZone, for Minerva and for myself represented a turning of the page. Richard left TimeZone in the middle of the release of the watches. TimeZone itself was sold. Minerva was sold. I sold my business and we all moved on to new things."